If you’re a vegan, or simply interested in plant-based foods, you’ve probably heard about how you can shred jackfruit and make it into a shredded BBQ jackfruit that is as good as (or better than) BBQ shredded pork or beef. But how the heck do you shred and barbecue this enormous jackfruit? 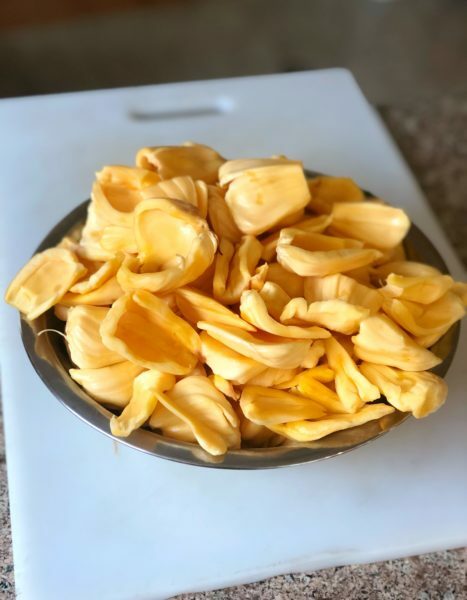 Let’s start with the basics about how to prepare fresh jackfruit (see this previous post) and get it ready for cooking. Full disclosure: It’s a lot of work. 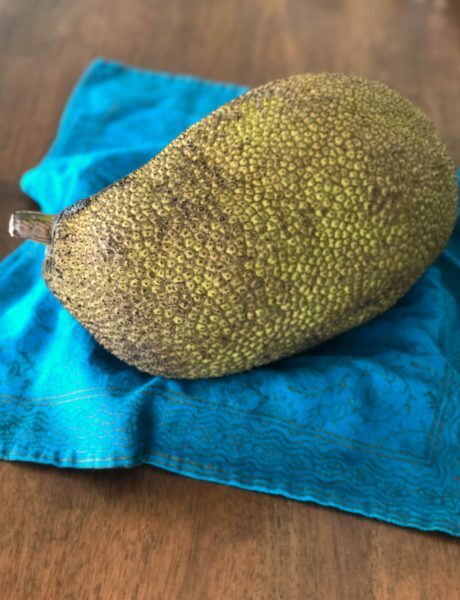 You have to be committed to the cause, and you have to be just crazy enough to spend your afternoon elbow-deep in jackfruit (we got this beauty from Melissa’s Produce). But it’s really, really good, we promise you that. Once you have gone through all of the preparation steps and you have this beautiful pile of golden pods, you’re ready to get started. First you’re going to simmer down the jackfruit with onions and spices. 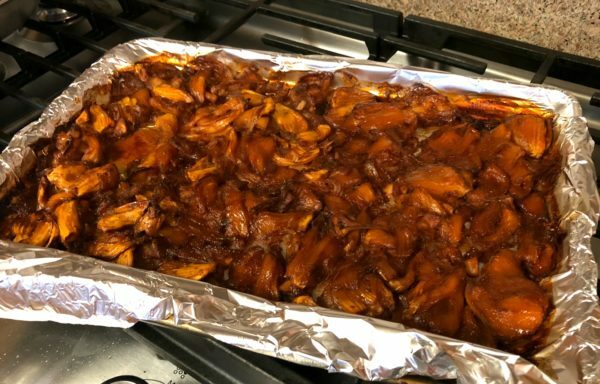 …And then you’re going to let it bake for more than an hour, letting it caramelize into a giant tangy-sweet mess of BBQ jackfruit. …and finally, you can simply shred the BBQ jackfruit with a fork and knife, and then pile the whole thing on to slider buns. And here’s the (even more) amazing about this so-close-to-the-real-thing meat substitute: You don’t need any added sugar in this recipe. The jackfruit itself provides the sweetness. So to give it that classic BBQ flavoring, you don’t need brown sugar, ketchup, honey, or whatever other sugars you might have added. Great tasting and good for you too! 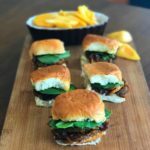 A vegan version of shredded BBQ pork sliders that's so tasty - and tastes so much like BBQ pork - that you might never go back to meat again. In a large saucepan, heat the olive oil over medium heat and add the onions and garlic, sauteeing until soft and translucent. Add the jackfruit and toss to coat with the oil, stirring for just a minute. Add the chili powder, cumin, coriander, salt, worcestershire sauce, and mustard, and stir to combine. Add the vegetable broth and bring to a boil. Cover and let the mixture simmer for 45 minutes. Meanwhile, preheat the oven to 350 degrees and prepare a large baking sheet by covering it with foil. 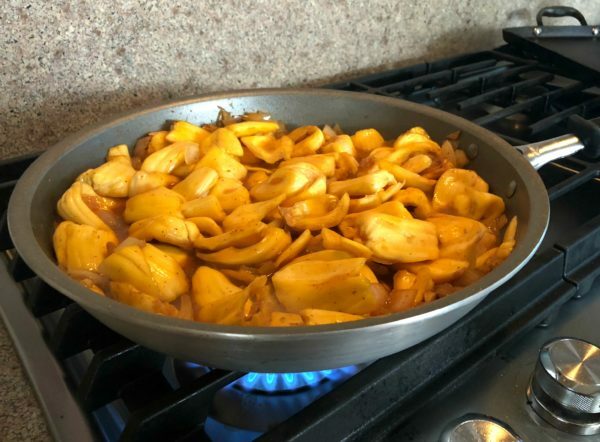 When the jackfruit has finished simmering, spread it out onto the baking pan. Bake for one hour and 15 minutes, or until the liquid is fully evaporated and the jackfruit is dark and evenly caramelized. Remove from heat and shred any large pieces with a fork and knife. 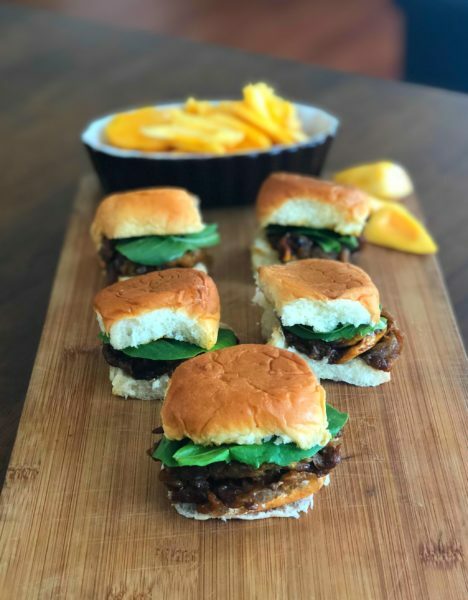 Spoon onto slider buns and serve immediately. 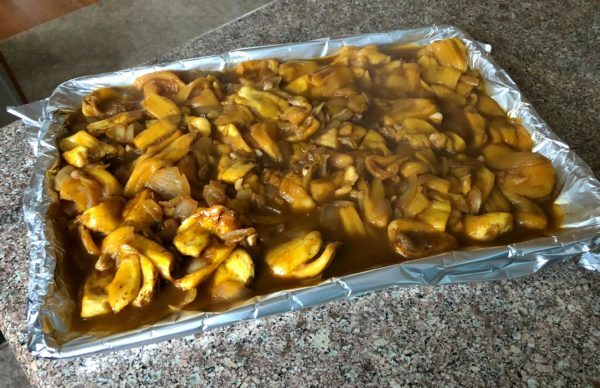 One odd thing that happened while researching this recipe, is that we read at least one recipe that said we should be using the white pith, not the golden fruit, for the shredded BBQ jackfruit. Aaaarrrgh! It was a real downer to read that after we had already thrown away about 5 pounds of pith. But anyway, the golden fruit is fantastic, and you should absolutely use it. What’s not to love?